Antique Bechstein Model A Grand Piano for sale with a polished rosewood case. Serial Number: 35412 : We buy and sell new and secondhand bechstein pianos. Specialist bechstein piano dealer, trader and wholesaler. Grands and Uprights in stock for sale and hire. Piano Removals. Piano information. Besbrode Pianos Leeds Yorkshire England UK. 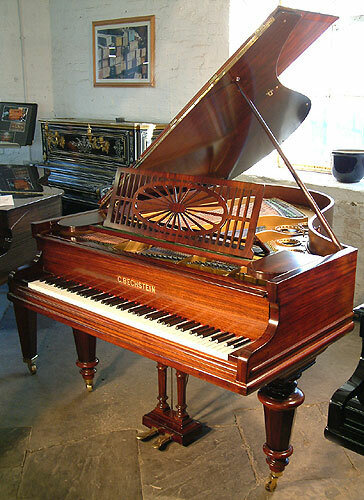 An antique Bechstein Model A grand piano for sale with a polished, rosewood case.